Who will be the Freestyle Champion this year? Finals – Both Spin and Static Poles – final 2 competitors from each division have 1 min 20 seconds to battle it out to win their respective title! Athletes must be older than 18 years. The battle will be judged by the following criteria : Creativity, Technique, Improvisation – Each criteria is worth 5 points (1 being the lowest and 5 being the highest) providing a maximum of 15 points per judge, per competitor (45 max points) We will also have a panel of judges choosing who had the “Best Flow”, was the “Most Entertaining” and had the “Best Tricks”. – These are separate awards from the Freestyle Battle Champion award. The competition has three rounds – 1st is the qualification round and 2nd is the semi finals, third is finals. The number of battles in the 1st round depends on the number of competitors. Only the best (highest scoring) 6 competitors compete in the semi final round (i.e. there are 3 final battles in each category) and the final top 2 in each division move to the Finals. In the Qualification round athletes compete on static pole. The pole is changed to the spin for the Semi Finals for both categories, for Finals the competitors must use both spin and static. In the Qualification round, competitors have 40 seconds x 2 to perform, in the Semi Finals, competitors have 45 seconds x 2 to perform and in the Finals, competitors have 1 min 20 seconds to perform. Competition pairings will be done after applications close and will not be announced until the competition. This will be done by random draw. Competitors can upload 2 songs at the time of application. Not all sent songs must or will be chosen, however, the complete potential song list will be up on the website and Facebook group after the applications have closed so that all competitors can see them. The time of the first competitor in each battle starts with the beginning of the song.When the song is playing, the time is running. After the beep (= the signal for changing the competitors on the stage) sounds the song continues and the other competitor begins dancing when it beeps again, the first competitor starts again and finally, after the last beep the second competitor finishes her round. It means that song is not stopped and it is not started from the beginning. Each competitor is on their own pole and both competitors remain on stage for the duration of their battle. The songs played will be from the ones uploaded by competitors. Uploading music does not guarantee that you will dance to the songs you selected. They will simply be added to a playlist that will randomly select a song for each battle. The list of these songs will be made public so competitors can see what they “may” end up dancing to. Competitors must fill in and send an application form (on the website) by April 15, 2019. The organizer contacts the fastest applicants + two standbys. A list of the selected competitors will be posted on the website after the deadline for entries and electronic invitations will be sent to these competitors with further instructions. Two participants will be invited to the pole battle as reserves. All regular CPFA rules apply regarding withdrawal. Competitors may use grips just on their body but NOT directly on the poles. The poles will be cleaned after each pole battle, never in the middle of the battle. The only exception is the situation when the last battle must be run in three (if the number of the competitors is not even-numbered). The cleaning crew starts clean the pole right after the first routine when the second athlete is competing. Heels are allowed – no boots higher than ankle. 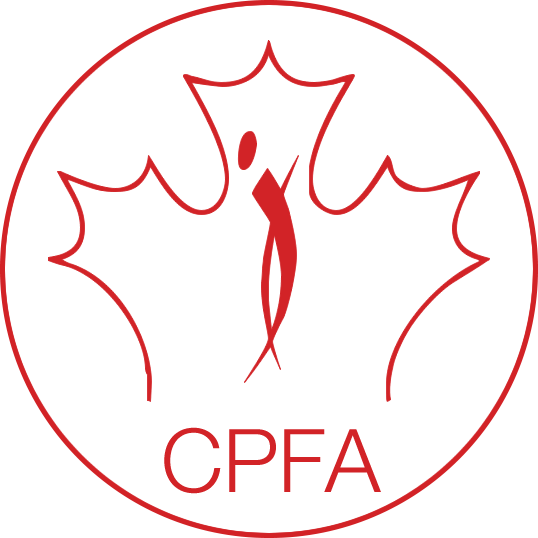 The bottom part of the outfit must cover the competitor’s bottom – (must follow CPFA competition rules for all regular divisions).